Over the past few months I have been compiling an eBook on the best dozen start up home businesses for under $100, I have read report upon report on all manner of start ups including Affiliate Marketing. My email inbox is clogged up on a daily basis with links to reports I can download so having seen literally dozens of reports I did not think I would see anything new or different. 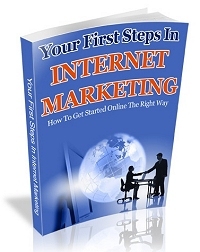 So when I first looked at this eBook I said to myself oh no, not another Affiliate Marketing eBook but to my complete surprise this eBook actually got my attention. Anyway as I sat back and read Affiliate Marketing Know How I found myself drawn into the eBook soaking up all the information it was providing. This information is common knowledge to most people and pretty basic information. However it was the in depth explanations, the how’s and the why these ways worked so well that I found truly unbelievable. Already I had so many ideas flowing through my head. After reading on I found the information provided very helpful. I also found it so easy to visualize applying it to my business. You will find in this eBook a great step by step guide to learning how to become an Affiliate Marketer, where to find the best programmes, what the best types of products are and then how to sell them and how to keep your customer happy and coming back to you time and time again. Affiliate Marketing Know How has officially earned itself a place on my printed book shelf with pages bookmarked and pages highlighted for future projects to come. Excellent eBook Mandy & Steve! Well done on a fantastic product. I also know that Mandy and Steve will not receive a cent on this product! They will be donating the entire profits from this product to a very worthy cause world of whispers visit the site to see the work being done here. You can also give a donation to support the cause. You’re right, great product and a very worthy cause 2boot! I have to agree, it really is a good resource for affiliate marketing! Thanks for bringing my attention to this valuable resource.